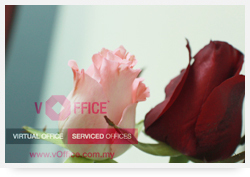 Virtual-Office.com.my is a brand of Kingsville Services Sdn Bhd. We are a privately owned debt free company originated from Victoria, Australia with networks that span across Australia, New Zealand, USA, Belgium, South Africa, Middle East, Malaysia, Singapore and Indonesia. 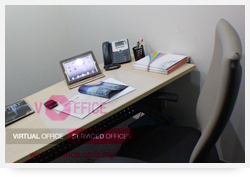 With over 6 years experience in managing Virtual Office here in Malaysia and Australia and has served over 15,000 clients. Our team of highly experienced, multi lingual and multi disciplined professional staff are able to provide superior services, innovative solutions and technical support in relation to company formation and maintenance, while fully understanding your personal requirements. We get to know your business, so you can trust us with your business. We do everything you'd expect a great receptionist to do except we're off-site. Basically, we work for you, just not in your office. Your callers can't tell the difference. Wonder how our office looks like? 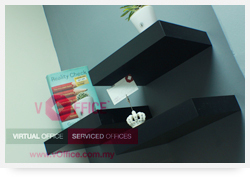 Take a peep at our office now !! We know different companies have different needs. 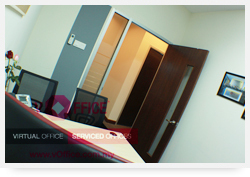 So when we designed Virtual-Office.com.my, we made it versatile enough to match the unique needs of most business professionals. No matter who you are, we just make life easier. 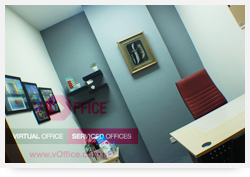 Virtual-Office.com.my has proven to be an exceptional choice for the small law firm. Virtual-Office.com.my client Richardson & Michelle Lawyers has found using an off-site receptionist service to be exceedingly efficient and affordable. While Richardson & Michelle Lawyers Office has grown to afford a full time, on-site receptionist today, they've found Virtual-Office.com.my's services so effective and dependable that they decided to keep us around. "There is nothing worse than knowing you are not getting calls from your clients because the receptionist is not doing his or her job," said Office Manager Dave Turnbull. "If we can't get the phones answered, we lose clients." 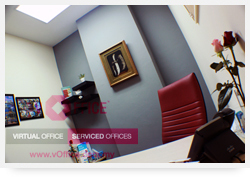 Virtual-Office.com.my client found everything they were looking for when they brought Virtual-Office.com.my Receptionist onboard. Rather than deal with all incoming calls at one location - in their NOC (where a product advisor, account executive, network engineers, server administrator might be interrupted with a call not intended for him or her), Virtual-Office.com.my answers all calls and directs them to the appropriate department. With Virtual-Office.com.my, a salesperson isn't bothered with a call meant for tech support. Likewise, the network engineers isn't bothered with a call inquiring about a service the company offer. 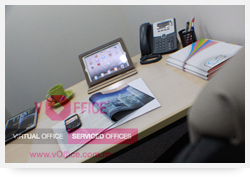 With calls professionally and quickly fielded to the right person, Virtual-Office.com.my's day-to-day operations run smoothly and successfully. Because many small business owners spend most of their days on a job site away from the telephone, employing Virtual-Office.com.my is essential. Without us, many of our in-the-field clients would miss important calls and potential new business. Ian Henley, owner of Safe & Save Car Wash, discovered Virtual-Office.com.my allows him to concentrate solely on providing high detailing car wash services to his clients. Our receptionists not only answer and transfer calls to Ian, but also assist callers looking for an estimate and taking appointments. Using a web-based calendar, Virtual-Office.com.my schedules Ian's appointment, leaving Ian the time to focus on his work in the field.